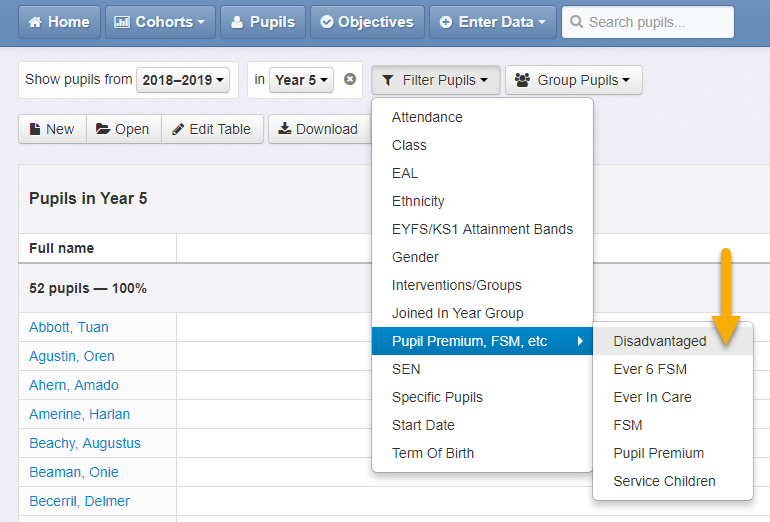 You can use Insight's filtering and grouping options to report on your Disadvantaged children. The Disadvantaged status of a pupil can be either explicitly set, or automatically inferred from other profile information. 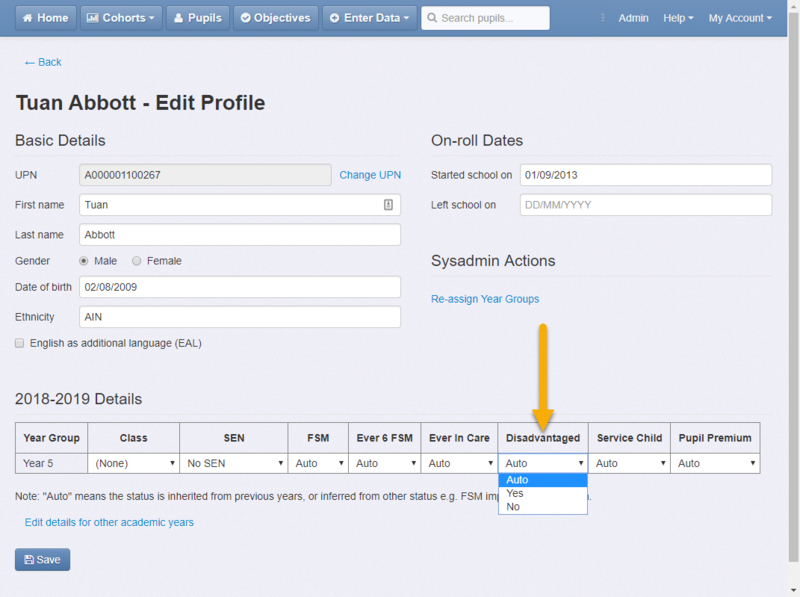 Users with Admin access to Insight, can set the Disadvantaged status by editing a pupil's profile. Your MIS is taken to be the source of truth. If you change anything in Insight, then conflicting information from your MIS, Insight will update to match the MIS' information.